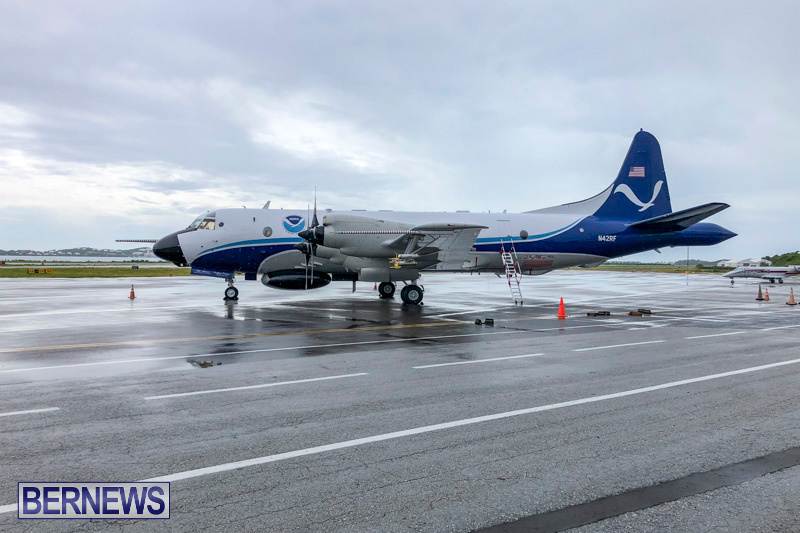 One of the National Oceanic and Atmospheric Administration’s [NOAA] Hurricane Hunter aircraft arrived in Bermuda this afternoon [Sept 7] in advance of research flights into Tropical Storm / Hurricane Florence. 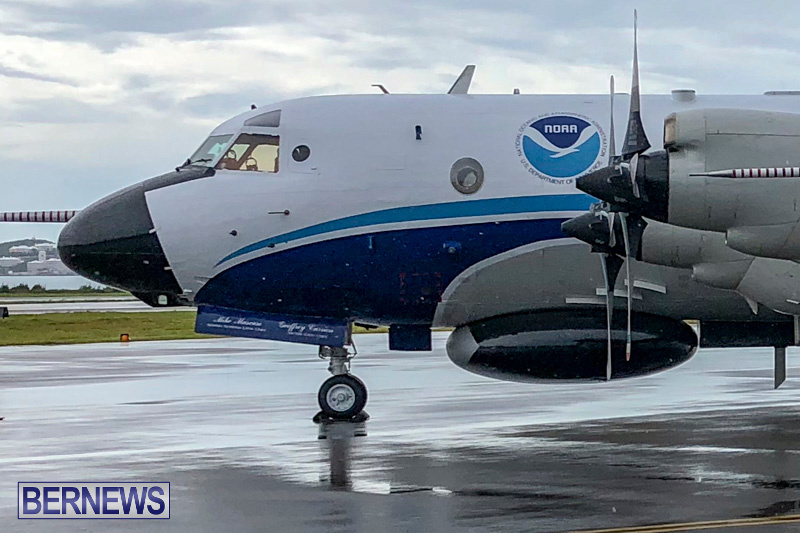 A NOAA social media post today said, “NOAA’s WP-3D Orion [#N42RF] #Kermit is fueling up and heading to Bermuda today to stage for flights into Hurricane Florence [www.nhc.noaa.gov/#Florence]“. 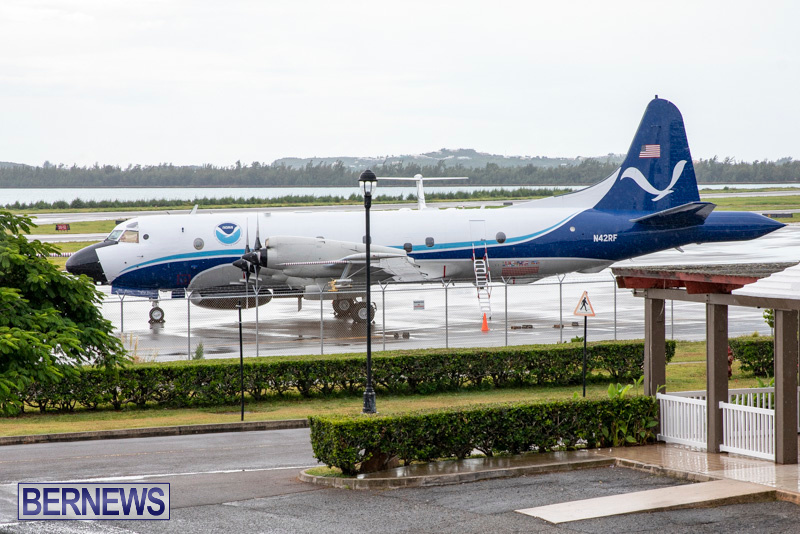 “When it comes to hurricane forecasting, NOAA has many tools. Radar, satellites and computer models all play a role in forecasting hurricanes, but they each have their own limitations. 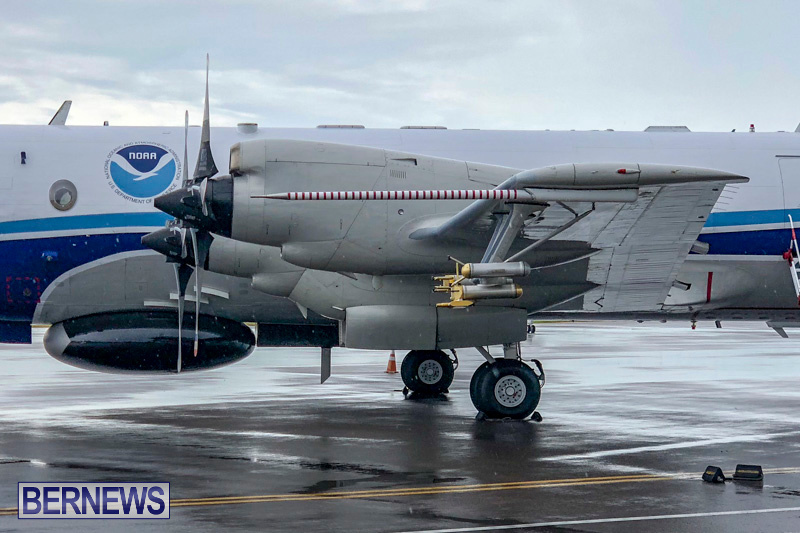 “In order to overcome these limitations, NOAA operates two Lockheed WP-3D Orion aircraft in order to conduct low-altitude data collection to fill gaps in data not available from ground based radar or satellite imagery. “NOAA’s WP-3D Orions are equipped with a unique array of scientific instrumentation, radars and recording systems for measurements of the atmosphere, the earth and its environment.